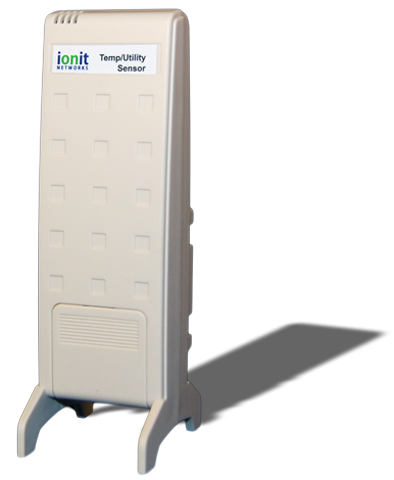 The IONIT model 9470 is a wireless, battery-powered temperature and utility device. Using RF communications, the 9470 transmits temperature readings regularly to any IONIT 9400 Hub and relayed to the IONIT Cloud software. In addition, its onboard contacts and DIP switches can be configured to identify a variety of situations including burner lock-out. The 9470 is sampling temperature and the contacts (if configured) and as soon as an “out-of-bounds” condition is detected, the 9470 immediately transmits to any IONIT 9400 Hub and up to the IONIT Cloud software.